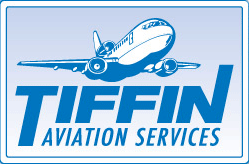 Tiffin Aviation is now offering Flight Training/Coaching for your trips to some of the many safe areas in Mexico. Whether you are planning your first trip to Mexico or would like to include the option of International Flight to your training program with us, we can provide you with a wonderful and gratifying learning experience. Our staff is familiar with safe and easy air travel in Mexico. We can use your aircraft or ours on an overnight training experience (one of our favorites) from our Nogales, Arizona base to Guaymas, Ciudad Obregon and Alamos Mexico. Enjoy the evening in Alamos with a 5-course gourmet dinner at the fabulous 4-diamond boutique hotel, Hacienda de los Santos, before returning to the USA. Pilots are welcome to join Club Pilotos and receive special package deals for pilot reunions. The famed Copper Canyon is nearby and can easily be added to your experience. This adventure can be combined with our Instrument and Commercial Pilot Training Programs for an additional charge or can be quoted as a stand-alone program. If you would rather learn the Baja, we can tailor the experience to your individual needs. We also offer training to Loreto, La Paz or Puerto Penasco (Rocky Point). As an important note, remember that you will need a valid passport for the entire trip. We will assist you with travel visas upon landing in Mexico. For additional information and pricing, please call us at 520-287-9120.